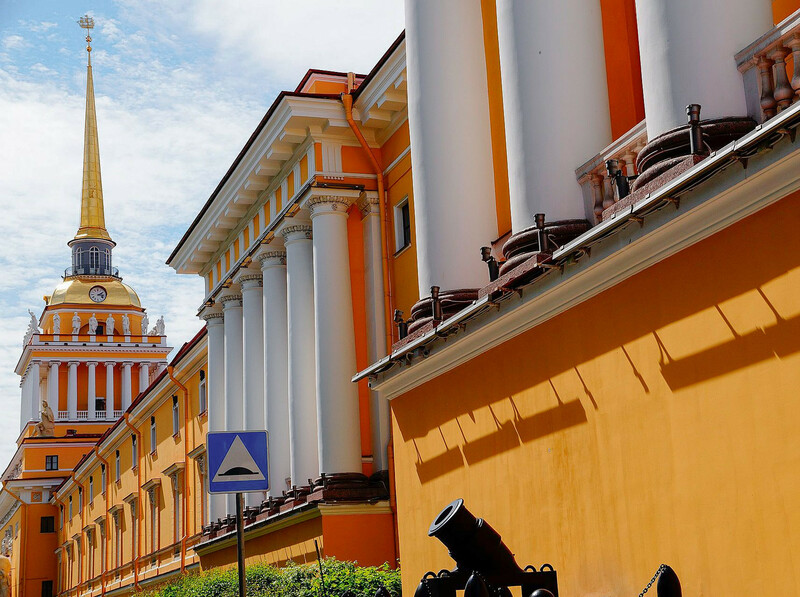 All three of Russia’s major historical periods left their mark on St. Petersburg, and you can get a feel for all of them in just three days with our guide for a whirlwind tour of the city. Getting a Russian visa can be a difficult and expensive process for many tourists, but there is one way to make a short trip to Russia without the hassle of getting a visa: Baltic Sea cruise passengers on the Princess Anastasia ferry are allowed to visit Russia for 72 hours without a visa. The ferry’s route is as follows: Tallinn (Estonia) – Stockholm (Sweden) – Helsinki (Finland) and St. Petersburg (Russia). With one ticket you can visit all four ports with one day in each city. And you can stay in St. Petersburg for longer—up to three days. The ferry makes a full circle (which looks more like a flat diamond) around the Baltic Sea and returns to pick you up on the same ticket! 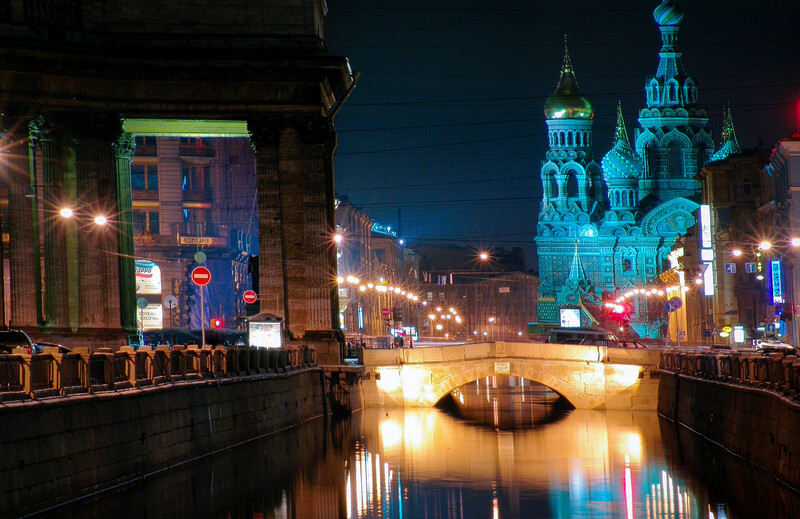 Ok, so now you have 72 hours to spend in the most beautiful city of Russia (if not of all Europe). This is just enough time to get a good first impression of the city. But where to go? What to do? There are three important periods in the city’s history: the imperial, Soviet and modern periods. We suggest you devote one day to each of them. Peter the Great chose the location for the Russian Empire’s new capital by necessity. St. Petersburg is the place where the Neva River converges with the Baltic Sea, and it was on an old trade route connecting Novgorod, Lake Ladoga and the ports on the Baltic. St. Petersburg had to become a door (or, as the Russian poet Pushkin put it, “a window”) to Europe. There are many popular and well-described tourist itineraries in St. Petersburg that include visiting the Hermitage, Isaac’s Cathedral, the Church of the Spilled Blood and watching the raising of the bridges during the summer. But in this itinerary we invite you to check out less visited but still very important sites. 1. 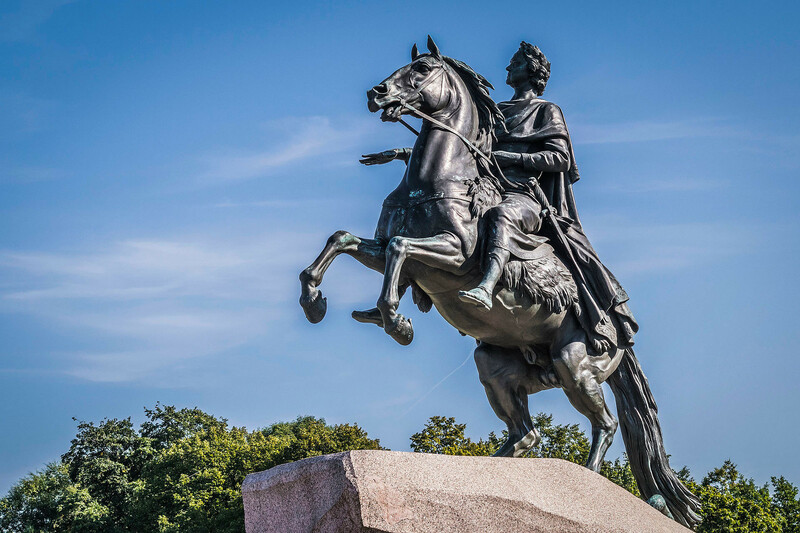 Start at the Bronze Horseman (Medny Vsadnik), a statue of the city’s founder, Peter the Great. It is placed on a giant rock (the Thunder Stone) and carved in the shape of a sea wave. According to one legend, before being brought to the banks of Neva River the Thunder Stone was a holy rock for native tribes that lived in the surrounding area long before the founding of the city. 2. Surrounded by the park in front of you is the yellow Admiralty building, but you can’t go in since it belongs to the head office of the Russian Navy. The image of a ship on the spire of the Admiralty is one of the city’s most famous symbols. 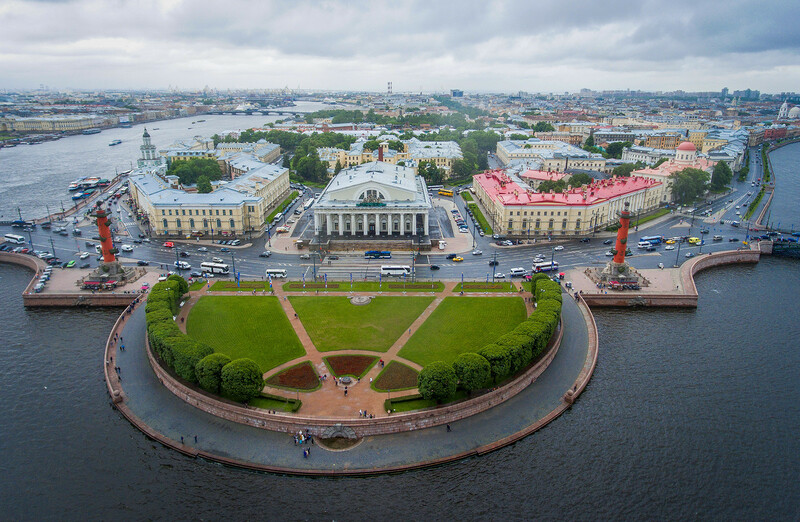 Legend has it that on a map of the city you can see a masonic pentagram formed by Nevsky Prospect, Voznesenski Prospect and the Moika River and then evenly divided by Gorokhovaya St. Alexander`s Garden (the name of a park) forms the upper part of the pyramid with the “eye” of the fountain. The Admiralty is situated at the very top of the pyramid, as if to show the great importance of the place. 3. 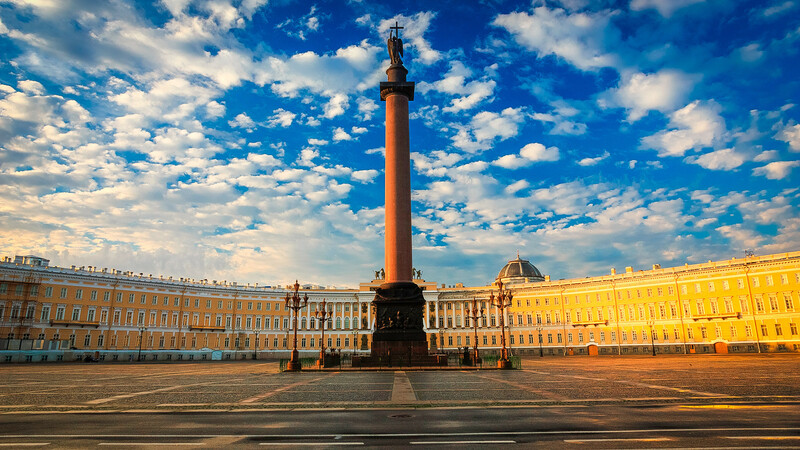 Walk through the park, take a final look at the Palace Square and the Hermitage and then cross the Palace bridge. You will arrive at the spit of Vasilievsky Island. There are several historical museums here, including the zoological and literature museums and Kunstkamera. People gather to dance on weekend evenings between the two Rostral Columns. Take your time to enjoy the view of Peter and Paul Fortress. It was never attacked by enemies but was quite frequently used as a prison for political dissidents. It was also home to a money factory and a cemetery with the tombs of royal family members. Now it is a popular leisure spot where you can sunbathe (if you’re lucky with the weather anyway). 4. From Peter and Paul Fortress cross Troitsky Bridge to get to the opposite side of the Neva. Here you will see Mars Field and the Summer Garden, where you can take a pleasant walk around classical Greek and Roman statues. 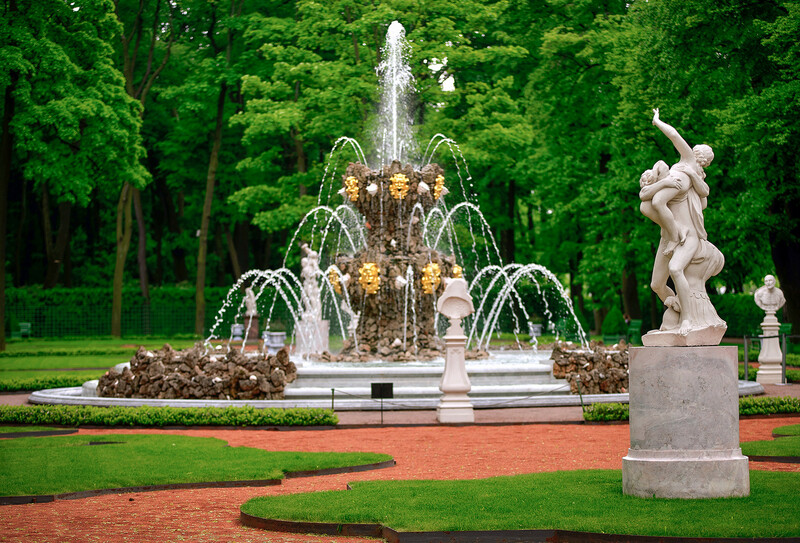 The Garden was open on the order of Peter the Great. It used to be his personal zoo with deer and peacocks. Nowadays, the zoo is gone, but you might still see white swans in the garden. 5. After the Summer Garden, make your way to Mikhailovsky or the Engineers Castle—the palace of Tsar Paul the First, now turned into a museum. This massive building was erected for a single purpose—to protect the tsar. Ironically, he was murdered in this very place soon after the castle was finished. Later, an engineering school opened in this building, and the famous writer Fyodor Dostoevsky studied here as a cadet. 6. It is getting late now. If you are tired of walking, take a boat ride through the channels and rivers of St. Petersburg. If you’re not up for this, make your way to Nevsky Prospect on foot, hop onto a trolleybus or into a taxi and head to the eastern end of Nevsky, where the Alexander Nevsky Lavra is located. This is a monastery and the last refuge for many famous Russians. In the Necropolis of the Lavra you will find the graves of writers such as Fyodor Dostoevsky and Nikolay Karamzin, the composers Petr Tchaikovsky and Modest Musorgsky, the scientist Mikhail Lomonosov, the generalissimos Alexander Suvorov and many others. If the city’s imperial period lasted two centuries, the Soviet period only made it 70 years. At the beginning of the 20th century, St. Petersburg was renamed to Petrograd (out of anti-German sentiment due to World War I) and later to Leningrad—the city of Lenin. 1. Begin your day with a tour of the Aurora cruiser. 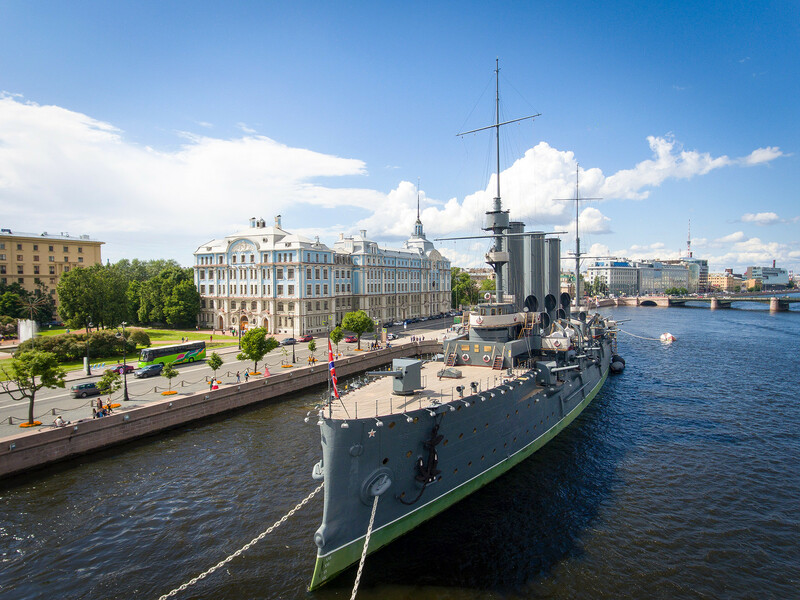 This old battleship started the Socialist Revolution in 1917 by firing a dry shot at the Winter Palace (the Hermitage). Now the boat serves as a museum and was recently renovated. 2. Follow the banks of Neva, crossing Troitsky Square until you arrive at the Museum of Political History of Russia. 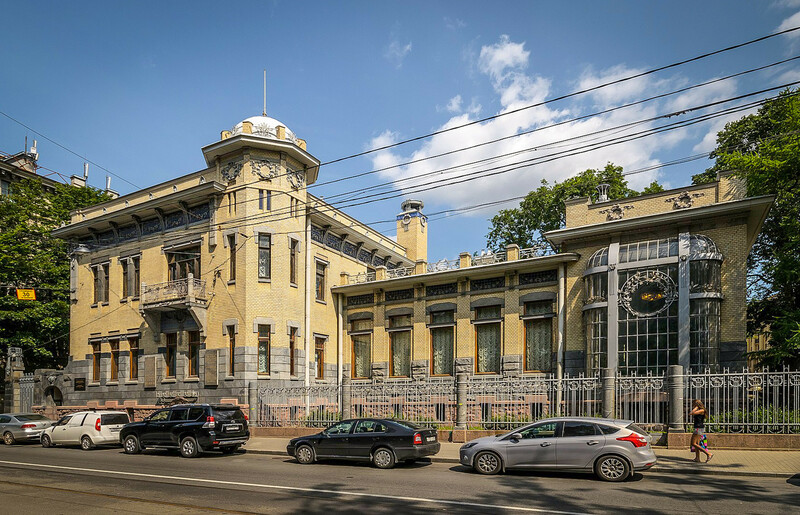 The museum’s building used to be a mansion that belonged to Mathilda Kshesinskaya, a famous ballet dancer and close friend of the last Russian tsar, Nicolas II. Revolutionaries later occupied the mansion, and Vladimir Lenin held a motivational speech here in front of a large crowd. 3. The rest of the Soviet tourist route is somewhat stretched out since many places are located far from each other. You can get a taxi or Uber, but we would recommend taking the subway. 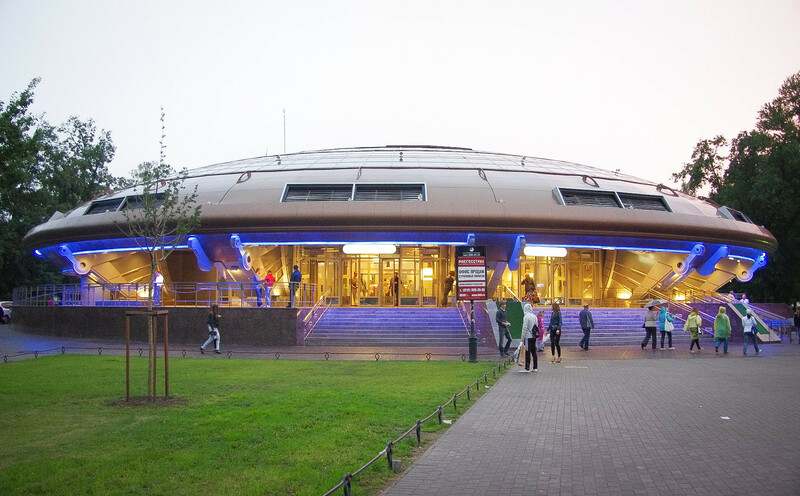 The nearest station from here is Gorkovskaya, which is shaped kind of like a UFO. St. Petersburg’s subway system is the deepest in the world. Admiralteyskaya (105 m. deep) and Chernyshevskaya (71 m.) stations have particularly attractive interiors that rival the famously beautiful stations in Moscow. 4. Your route will, like most things in St. Petersburg, more or less be around Nevsky Prospect. On Konyushennaya Sq. you can find the privately owned Museum of Soviet Arcade Games—a rather small arcade with authentic Soviet arcade games. 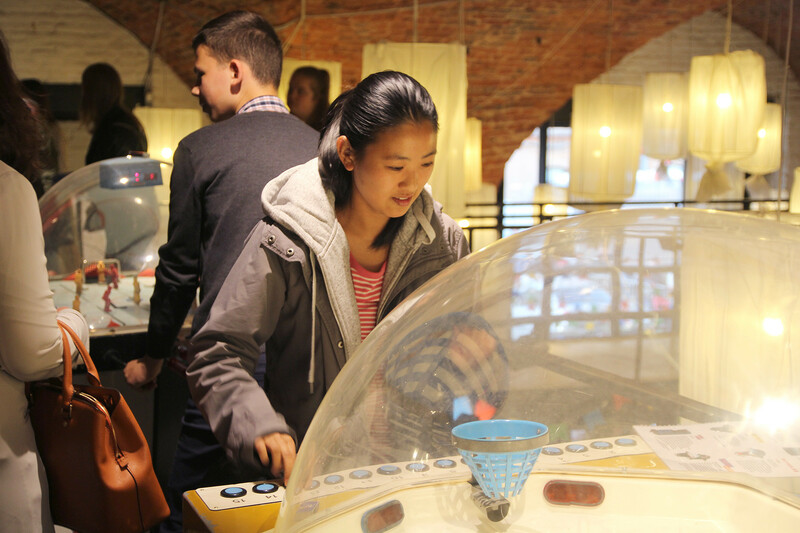 You can shoot a rifle, play a mini version of basketball and fire a torpedo from a virtual submarine at an enemy ship. 5. 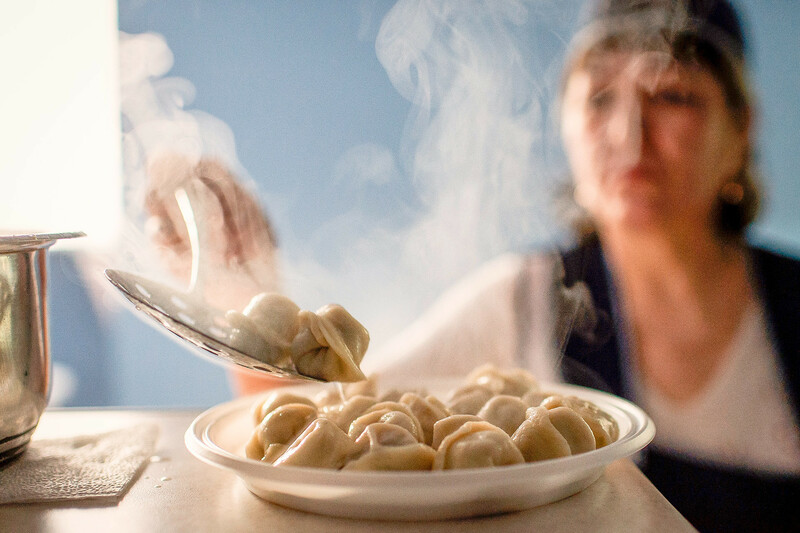 You are probably hungry by now, so visit a Soviet-style canteen where the spirit of the USSR lives on. There are not many authentic old school canteens — or stolovayas – left, and with Soviet kitsch in fashion there are now many modern copycats, so you have to be picky. Our choice is the restaurant in the House of Actors (Dom Aktera at Nevsky 86), a place where the Soviet beau monde of the 1970s would enjoy their dinner. 6. We suggest you take one last stroll to see the Krasin icebreaker. 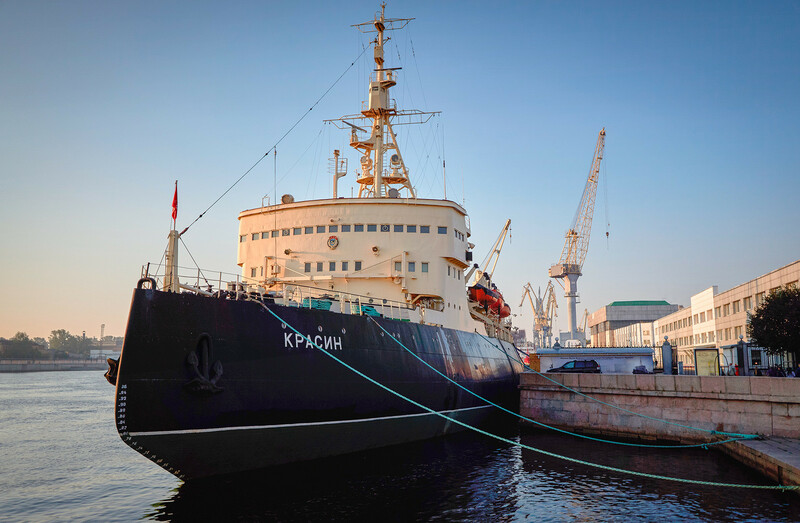 It is a diesel ship — one of the most powerful in its day—that rests on the banks of the Neva. It was the only ship that was able to reach the crash site of the Umberto Nobile “Italia” zeppelin on its way back from the North Pole in 1928. On its way back from rescuing the Nobile expedition, the heroic icebreaker also saved the crew and passengers of a German ship called the Monte Servantes, which had become stuck in ice with 1500 people on board. From its current location you can also see the Wharf of Admiralty, the Baltic Shipyard and an old Soviet submarine. This period began in 1991 with the collapse of the Soviet Union and when city got its old name back. There are many ways to catch a glimpse of life in modern St. Petersburg, and you can hardly pack all of them in one day. So take your pick from this list. 1. Modern city tour. Grab a taxi (or rent a car) and make your way to the Western Rapid Diameter road. 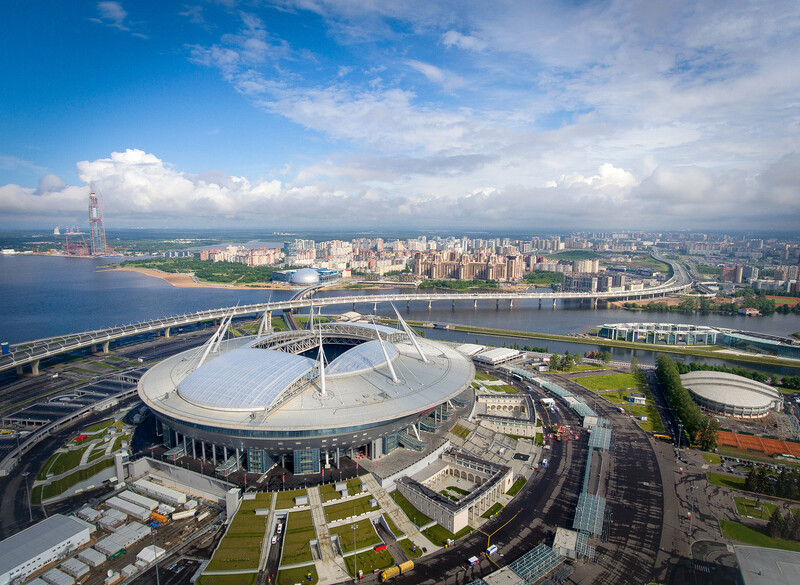 From here you can see and visit the new stadium built for the World Cup 2018, the new and otherworldly looking Gazprom skyscraper — called the Lakhta Center — and a new passenger port. Or just enjoy the view of the Baltic Sea. All of these can be seen from the water too if you take a “Raketa” boat day tour from the Hermitage to Peterhof and back. 2. 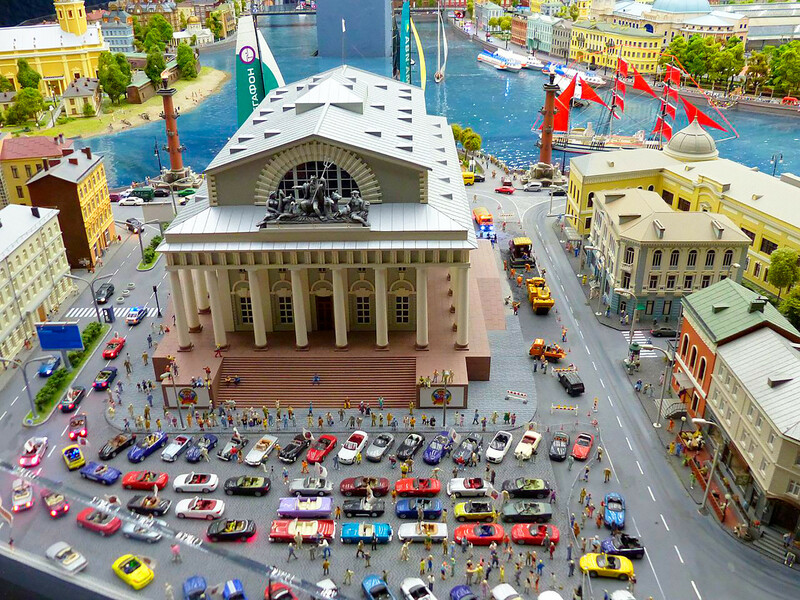 Grand Maket Rossiya. This is a museum with just one exhibit: a working model of Russia. The mini-version of the country is connected by a long railroad. The trains move, the factories function and people live their everyday lives in an artificial day and night cycle. Obviously, it is not a 100% accurate model, but it still gives you some idea of what Russia is. However, the museum is rather far from the city center on Tsvetochnaya St. near Moskovskie Vorota metro station. 3. 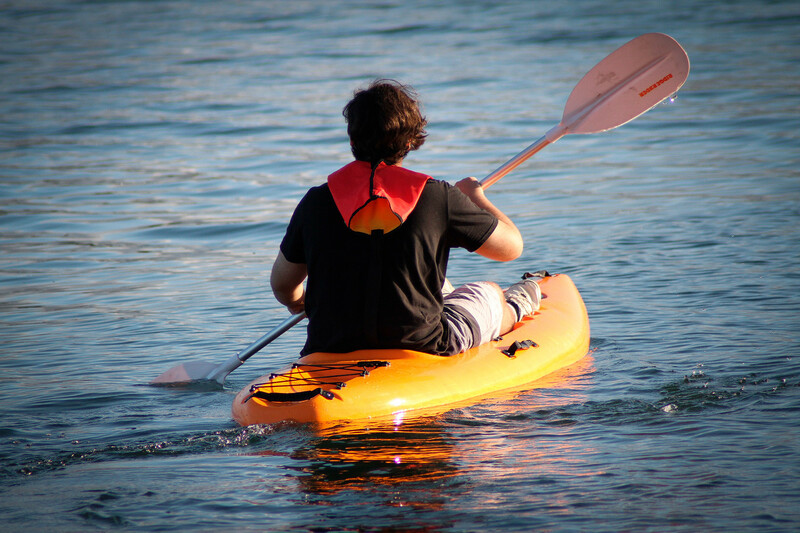 For sports enthusiasts we recommend going on a kayaking tour that starts in the morning. 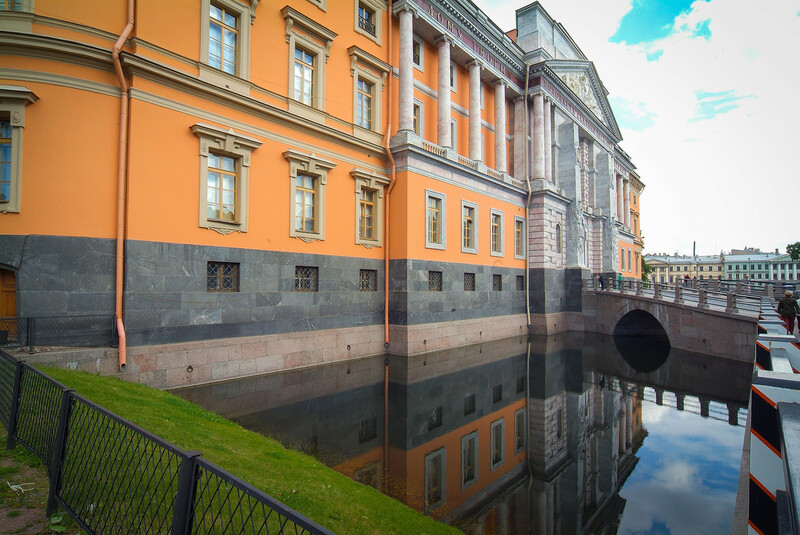 St. Petersburg is a city of canals, and many Russians even call it Northern Venice. There are no gondoliers here, but you can rent your own boat to get another view of the city from the many canals. 4. And if you like looking down more than looking up, a walking tour of the city’s roofs is for you. These are available all day and sometimes even at night. This is a relatively new but very popular sort of tourism. Some of the roof tours are illegal since not all roofs are open to the public, so make sure to look for good reviews on Tripadvisor before picking a guide.